With a microscope, we are able to produce low aperture focused beams at higher frequencies than is used in classical C-scans, and perform acoustic microscopy up to 2 GHz. The technique can be used to ‘visualize the interior structure of fiber reinforced composites. This is so called ‘bulk imaging of composites. In the future, it is my aim to study this bulk imaging further and to be able to investigate the phenomenon of fatigue damage and impact damage inside composites. This study is very inviting, because fatigue damage and impact damage are two important fields of investigation in our lab and so are heterogeneous structures at micro and nanosclae for optical filtering applicatons. Other studies include investigation of mechanical properties of coatings and new nano-heterostructures. 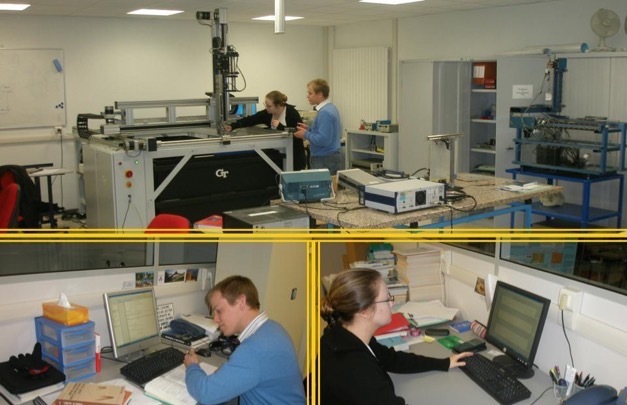 The Polar C-scan devices in our lab are the main tools for education in NDT and for scientific research. Their high flexibility enable a whole range of experiments and experimental situations to investigate all sorts of materials, such as fiber reinforced composites, periodic structures, novel materials etcetera. Numerous students, most of whom are already succesful engineers in many different countries in the world, have gone through a training on the use of ultrasonic nondestructive evaluation of materials by means of these devices. The real world is not linear. To exploit how we can use nonlinearities in materials investigation the lab has a Ritec Snapscan device which, combined with the other scanners, enables thorough investigations, often rather exotic, of liquids and solids. 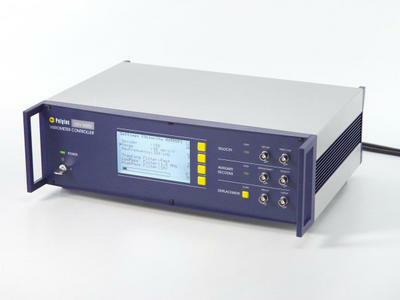 The System OFV-5000 Controller is the core of Polytec’s laser vibrometer systems. Its modular design allows the frequency, velocity and displacement capabilities to be tailored to specific or multiple applications. Both analogue and digital decoders are available, giving a frequency range from near DC to 24 MHz, with velocities to ± 10 m/s and displacements from the sub-nanometer to meter range. The device is often used in combination with the other scanners in the lab, as needed and as appropriate. 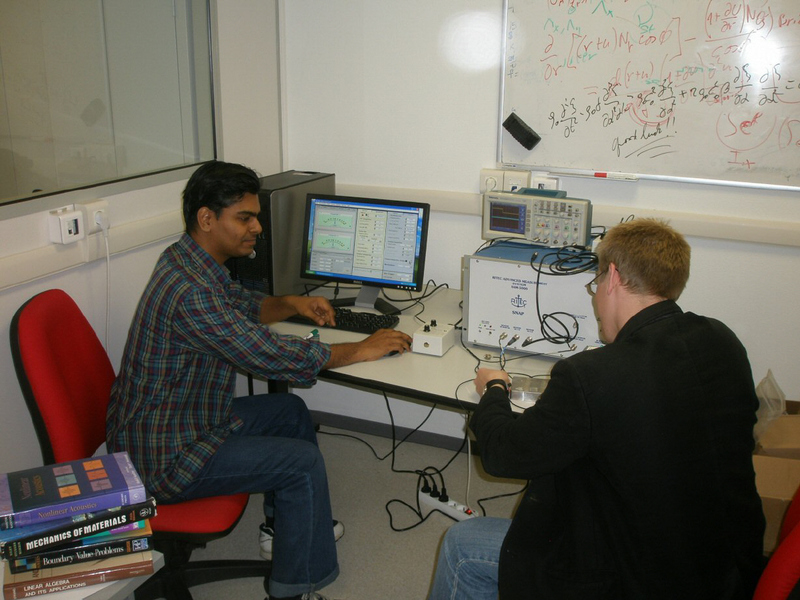 Other than what is listed above, the lab uses numerous transducers : contact, non-contact, immersion, focussed, unfocussed, ... at a whole range of frequencies of interest. In addition, more common signal analysis tools are of course available and so is software for finite element analysis.